MANILA, Philippines - Ombudsman Conchita Carpio-Morales is one of the recipients of the 2016 Ramon Magsaysay Award. The Ramon Magsaysay Award, Asia’s premier prize and highest honor, celebrates greatness of spirit and transformative leadership in Asia. Her impressive and untainted track record as a public servant and dedication in restoring the faith in the rule of law made her a well-decorated public servant. The University of the East conferred on her the degree of Doctor of Laws, Honoris Causa in 2013. She was Filipino of the Year Awardee of the Philippine Daily Inquirer in 2014, a Distinguished Alumna Awardee of the UP School of Economics Alumni Association in 2015 and was also a recipient of The Fearless and Peerless Crusader Award by the Philippine Constitution Association. 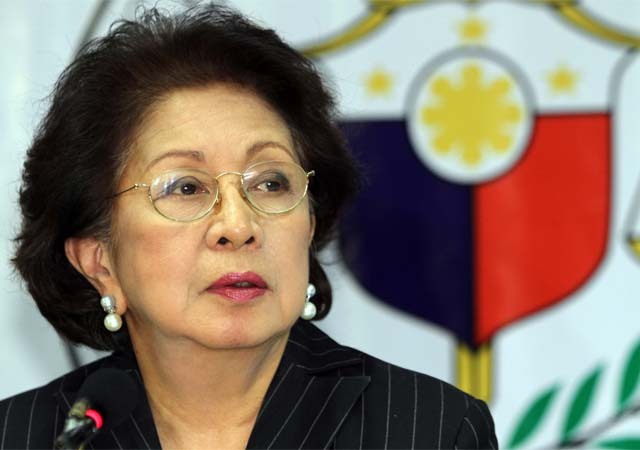 Carpio-Morales also served as a former Assistant Attorney, Special Assistant at the Department of Justice, Regional Trial Court Judge, Head of the 7th Division of the Court of Appeals and as a former Supreme Court Justice. She also holds the distinction being the first female magistrate to administer the oath of the President of the Philippines when former President Benigno Aquino preferred her over the late Chief Justice Renato Corona. Aside from Carpio-Morales, the other five awardees of the foundation this year includes Dompet Dhuafa (Indonesia), Japan Overseas Cooperation Volunteers (Japan), Thodur, Madabusi Krishna (India), Vientiane Rescue (Laos) and Bezwada Wilson (India). The awarding ceremony will be held on August 31 (Wednesday) at the Cultural Center of the Philippines.